The Federer Trophy Stripe Men's Polo makes it that much easier to perform at your peak, with sweat-wicking fabric that keeps you feeling dry and a seamless design for a lightweight, motion-ready fit. The Federer Trophy Stripe Men's Polo features short sleeves and an athletic fit for great range of motion, and a four-button placket for customised ventilation and stand-out style. Side, arm and shoulder seams are bonded to help eliminate chafing and irritation from stitching. The result is an ultra-comfortable, super-durable construction that's ready to face the opposition. Whether it's high stakes or hot weather, this high-performance polo is ideal for heated matches. Stretch Dri-FIT fabric helps pull sweat away from the skin to the fabric's surface, where it quickly evaporates. The terraced collar has a contrast woven border for a pop of colour and enhanced comfort, along with a collar stand for height, structure and sun protection. 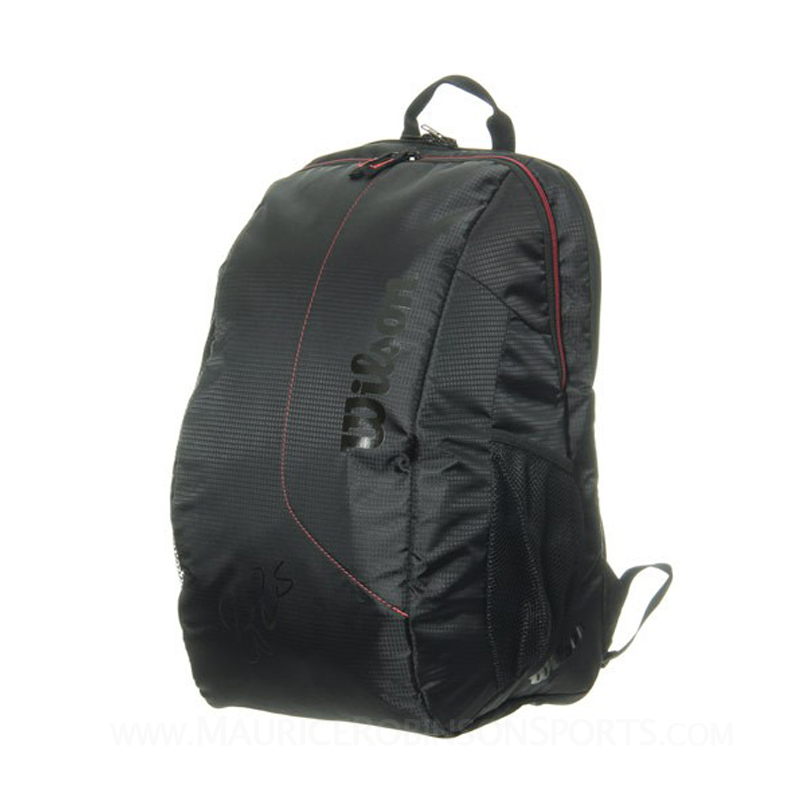 Do you own the Wilson Federer Team Backpack Black?